The first victim was found inside a crashed car. Police say the found the second victim a short distance away. Investigators believe the robbery was a targeted attack. Two men died after an attempted robbery in District Heights, Maryland, early Wednesday ended in gunfire. Loved ones gathered near the scene Wednesday morning, collapsing to the ground in tears. Kevin Muse, 26, and Samuel Paige, 27, died after a car Paige was found inside crashed into a tree, Prince George's County police said. Officers found Paige, of Suitland, inside the crashed car near Aztec Drive and Gateway Boulevard about 4:30 a.m. He was pronounced dead on the scene. Muse, of District Heights, was found a short distance away. He was taken to a hospital, where he died. 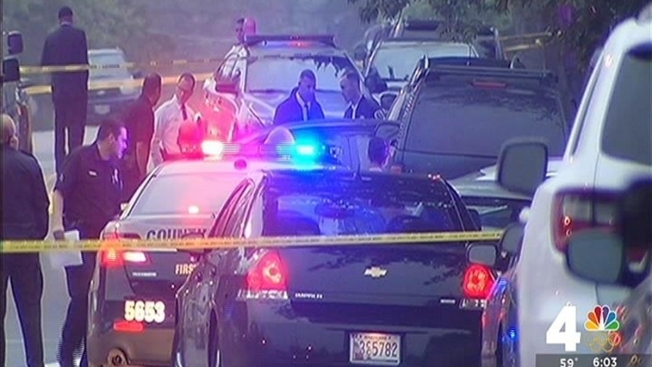 2 Found Shot to Death After Attempted Robbery in Md. 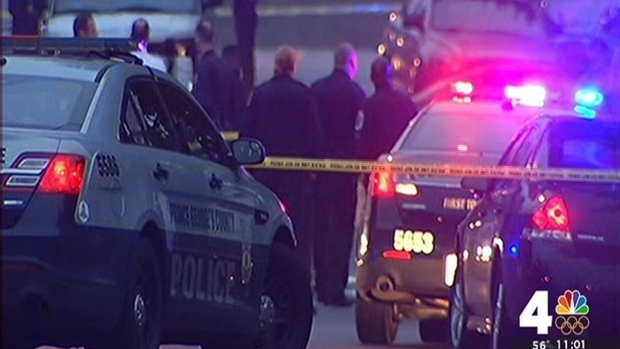 Two people are dead after an attempted robbery in District Heights, Maryland, ended in gunfire. Investigators do not believe the incident was random. "This car and the individuals in the car were targeted," District Heights Police Chief Elliott Gibson said. Sources said a third person is believed to have been in the car and survived the shooting. Muse was a father, neighbor Randy Thomas said. "Real good guy. He never caused no problem. He never give anybody any kind of problems," he said. "It's sad to see him go like that, knowing that he just got a baby and stuff like that at home." No information on a suspect was released immediately. "Our investigation is continuing, and as events present themselves, we'll share them," Gibson said. In 2016 thus far, 32 people have been murdered in Prince George's County. Nine of the killings occurred in the past two weeks. Nine of the killings were categorized as domestic in nature. Anyone with information for police is asked to call 301-772-4925, or to remain anonymous, 1-866-411-TIPS. Information also can be sent in a text message to CRIMES that includes PGPD, or by visiting www.pgcrimesolvers.com. A reward is offered.